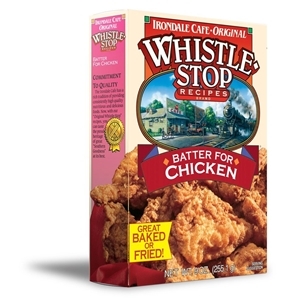 Using Whistle Stop Recipes Fried Chicken Batter and our special instructions will yield a hearty plate of chicken that makes your chicken a special and tasty delight. Our recipe is time tested and proven over the years and thousands of meals. You can use this mix to bake or fry. It is also good for country fried steak, pork chops and steak fries.